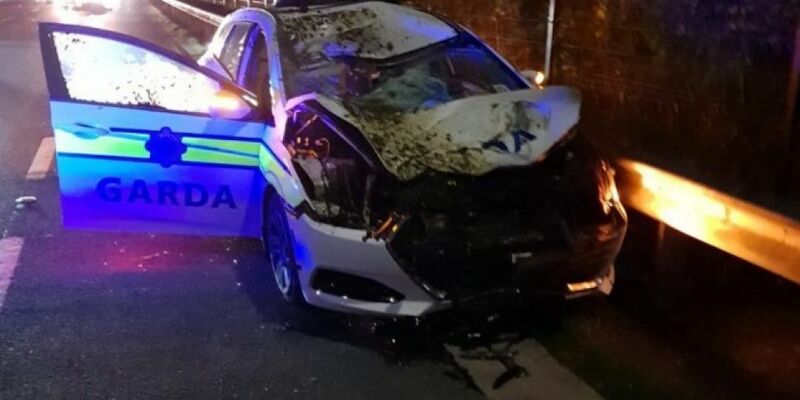 Two gardaí have been injured in Limerick after their patrol car was hit by a runaway horse. Gardaí were attending an accident on N18 between Limerick Tunnel and Roxboro Road junction at around 4.30am on Tuesday morning when the incident happened. The horse hit the front of the vehicle and was killed instantly. The gardaí suffered minor injuries, and they were taken to Limerick University Hospital. According to the Garda Representative Association (GRA), one of the officers suffered a broken arm and head wounds. The association added that it wished a 'speedy recovery' to the two gardaí involved.